Raise a smile with this stylish carved mug. 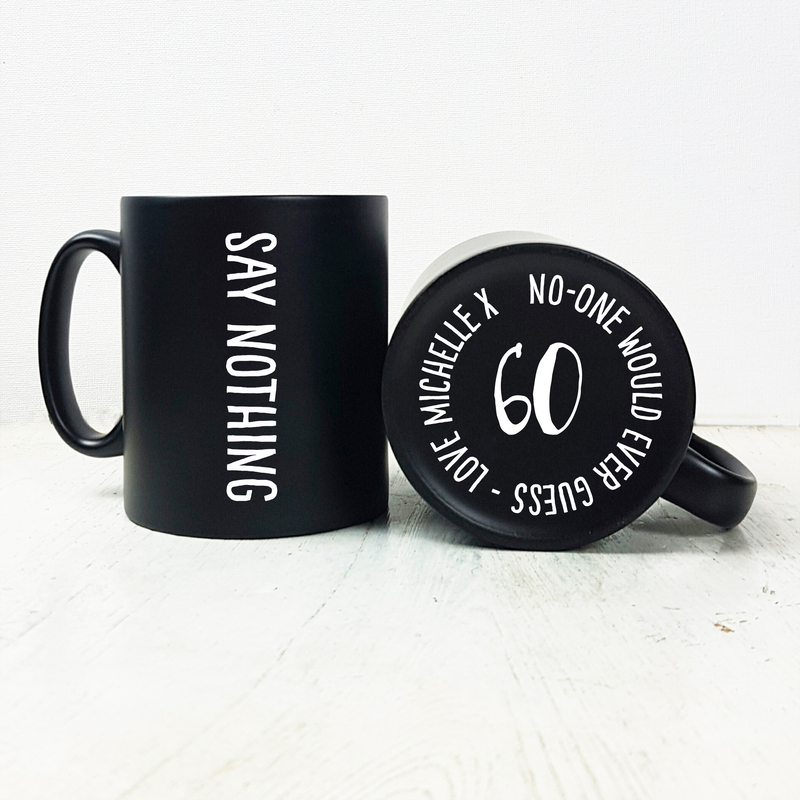 The front of the mug reads "Say Nothing" with the base of the mug revealing the age of the recipient and your personalised message to them. Our suggestion for this is "No-one would ever guess" plus your name. Just let us know the age to put on the base of the mug on the order form. The engraving achieves a lovely tactile feel to the finished piece making this a super stylish addition to any mug collection. Excellent product well made. Would recommend to others. very efficient service. easy to use website. delivery on time as promised.